Laura S. Scott was in her sixteenth year of a voluntarily childless marriage and living in the suburbs of a small city in Virginia when she first got the idea to start the Childless by Choice Project. At the time, she was writing screenplays and marketing her first feature script, a first place winner in the Virginia Film Office's Governor's Screenwriting Competition. A former fashion and publishing entrepreneur, she had also worked as a freelance nonfiction writer/editor, personal productivity coach, and a volunteer for youth. Scott also founded and leads the Blue Ridge Association of Dramatists and Screenwriters (BRADS), a regional group of scriptwriters and filmmakers. Fueled by curiosity and introspection, Scott traveled to ten American states and two Canadian provinces to survey the childless by choice and do video and audio interviews in order to determine why, for millions of North American couples, the question "When should we have kids?" has morphed into "Should we have kids?" She has since been interviewed and consulted on this topic by university scholars, writers, and producers for national magazines, regional newspapers and news organizations, including NBC News, the San Francisco Chronicle, CBC Radio, and The Roanoke Times. 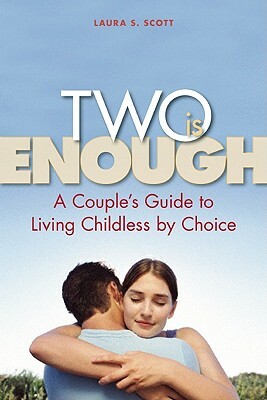 Her Childless by Choice Project website (www.childlessbychoiceproject.com) serves as a reference and marketing tool for journalists, project participants, researchers, and the general public. A proposed Childless by Choice film project is in the development and early production stage, and is fiscally sponsored by The Southern Documentary Fund (www.southerndocumentaryfund.org). Scott lives in Roanoke, Virginia.